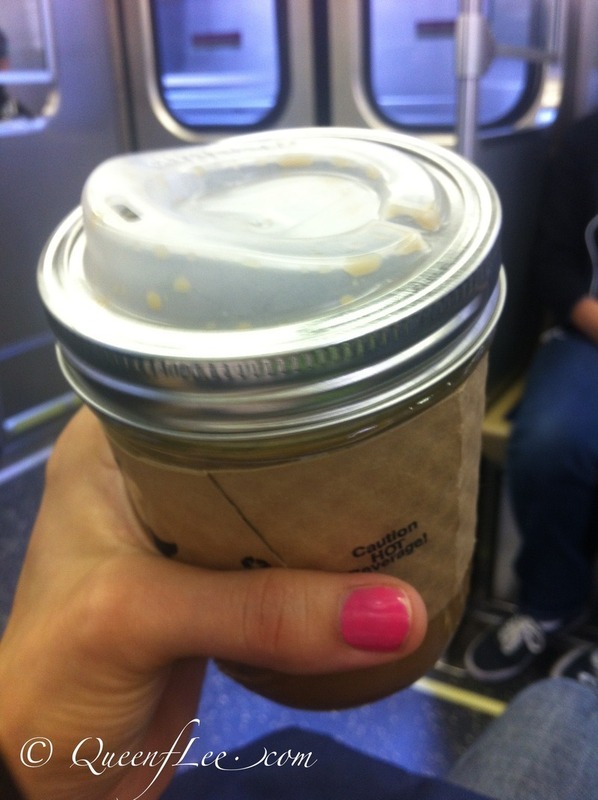 The Cuppow lid makes a wide-mouth canning jar (Mason, Ball, Kerr) into a to-go cup / travel mug for your coffee, tea or favorite beverage. Mini likes to drink her milk out of one. Mine is outfitted with a standard coffee sleeve for hot drinks, extended with some packing tape.